One of my love languages is gifts! Giving gifts that is (…although who doesn’t like to receive gifts every now and then?!). I love the process of finding the perfect gift to give someone special and the joy that comes from watching them open it! I recently discovered a fun and unique way to bring a smile to someone’s day and it only takes roughly 20-minutes of your time and is budget friendly! Insert… The Sunshine Basket! The key here is to find goodies, snacks, and thoughtful little gifts that are yellow to go with your sunshine theme. The ideas on what you can put in your basket are endless! Pinterest has some great tips too! 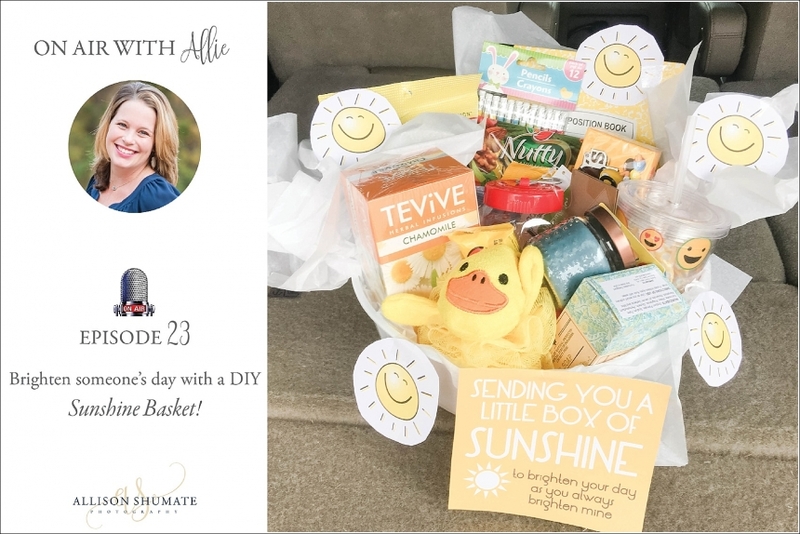 Tune in below to this quick pre-recorded On Air with Allie episode and watch me put a Sunshine Basket together! Hope this inspires you to create one for someone special. It will surely brighten their day (and yours!). Cheers friends!